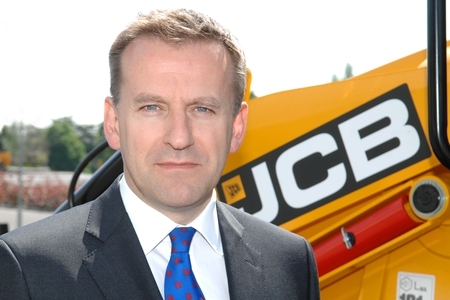 JCB has announced a successor to Chief Executive Officer Alan Blake who is to retire at the end of the year. Alan, 63, joined JCB in 1989 and became CEO in 2010 after holding a number of senior positions in the company and after leading the biggest production expansion in JCB’s history. Since his appointment as CEO, Alan has presided over the company’s return to sales and production growth against a backdrop of continued economic uncertainty around the world. Alan will remain as a Senior Advisor and Board Member of the company. His successor will be Graeme Macdonald, 45, who became Chief Executive Officer Designate from June 1. Graeme has held a variety of senior roles during his 16 years at JCB and was latterly the company’s Chief Operating Officer. He was previously MD of the company’s Backhoe Loader Business Unit, based at the World HQ in Rocester and also held the position of President of JCB Inc based at JCB’s North American HQ in Savannah, Georgia.